Victoria is proud to be New Zealand's number one ranked university for research quality (2013 NZ Government Performance-Based Research Fund results) and offers over 100 undergraduate and over 220 postgraduate programmes. We boast a number of internationally recognised academics who are passionate about their subjects and enhancing the student experience at Victoria by imparting their knowledge and skills in an interactive and engaging way. With over 22,000 students, including more than 3000 international students, Victoria comprises three campuses across Wellington city and eight faculties: Architecture and Design, Business, Education, Law, Health, Humanities and Social Sciences, Science and Engineering. Victoria consistently ranks among the world's best universities. It is ranked 219 in the 2017/18 QS World University Rankings and in 2015 it received five stars from QS Stars University Rating in each of the eight categories- arts and culture, discipline ranking and accreditations, employability, facilities, inclusiveness, internationalisation, research, and teaching. 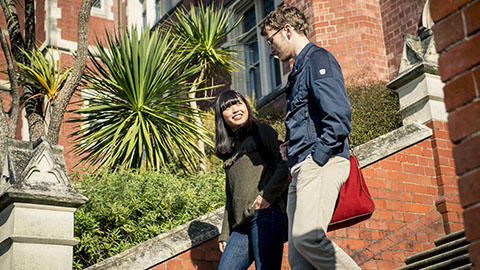 Victoria has three campuses in Wellington City, all within walking distance of each other. Each campus has a distinct feel. Kelburn, the main campus, overlooks the beautiful harbour city and is home to the Humanities and Social Sciences, Education, Science and Engineering faculties, and hosts a wide range of student services as well as a purpose built student hub for socialising or studying. The Pipitea campus is located in the heart of the city, right next door to the New Zealand Parliament and central business district. This is where business and law students spend most of their time. Te Aro is the architecture and design hub, in a purpose built campus in the creative centre of a design-oriented city, on the fringe of the central business district. Victoria has excellent facilities for students including a purpose built building on the Kelburn campus dedicated to student study spaces, retail and social areas. At Victoria, you can immerse yourself in the New Zealand culture by joining one of over 100 social, sporting and cultural clubs and societies and a number of extra-curricular programmes that will push you both personally and professionally.